I have spent the last few hours, and could easily spend another two or three browsing at the at Collection of the legendary Elizabeth Taylor at Christies. 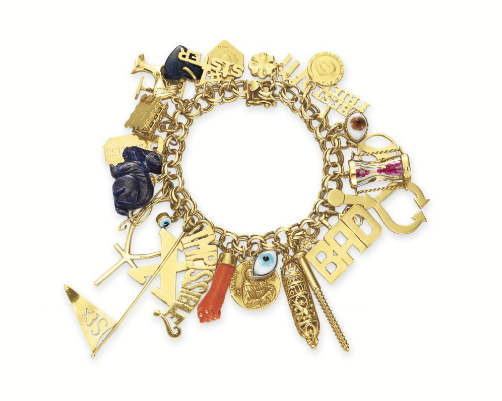 Take a trip down memory lane...the jewelry, what a collection! Check out her charm bracelets...each charm has it own little story!